When I started my investment in cryptocurrency, mainly in ICO’s , I never imagined I could multiply my initial investment by 566% in just 5 months. Decision to get into Crypto was the most remarkable decision in my life. I have to mention something though, I lost 50% of my initial investment before I started making money. But those losses were the foundation of my gains. I learned a lot from my losses and reverse engineered the metrics. I studied top 15 ICO’s ever and took down all the metrics and applied them into projects I want to invest. I came up with 25 data points to gauge a project before investing. Some of my best gains are Wabi, DNT, 0X, EOS, SALT LINK and some more. Some of my biggest losses are Ambrosses, SIA, DAO Casino, Propy etc. One of my biggest miss was BQX, I had 120,000 BQX, sold it for 8 cents. Now its $1.50 USD when i checked last time. This is my portfolio now. I need to add few ICO I invested like wanchain, ICON and storm. How to choose the winners and avoid the losers? I will share some of my top parameters to pick a project to invest. 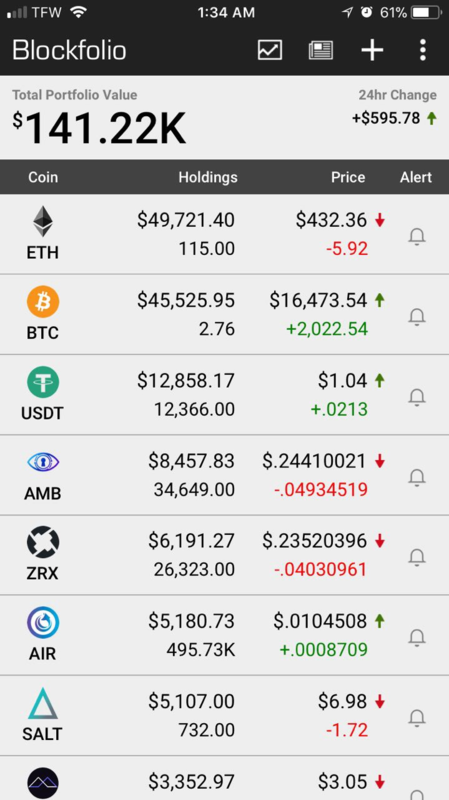 All of my gains are from projects which are either a platform or have a working product. Advantage of a platform is that the probability of all the companies using the platform to lose money is comparatively less. Examples are EOS, DNT, 0X etc. This aspect makes Ether a very strong investment. Ether will fail only if all the companies using ether platform migrate away from it. This is highly unlikely. A project without a working product is really precarious for obvious reasons. A tested product is essential to boost confidence in the project, which also shows the team is not greedy. Example is WABI. Tip 2 : Do we really need blockchain for the project? There are many projects which dont need blockchain to function. Every single one which I invested which dont need blockchain to function was a dud. A good example is DAO. This is critical because big corporations who are the competitors, cant compete with the ICO project if blockchain is a necessary factor to implement the system. Ask this question. Is it something broken with the legacy systems ICO project solves? Every single project I invested which addresses this factor has been fantastic. Examples are Wabi, 0X, SALT etc. A dud was SIA, I bought it because I know SIA’s founder. SIA’s main competitor is Google. There is nothing broken with Google storage system. Google actually provide more features with Google Drive. For example Google Form is integrated with Drive. Its highly unlikely someone will migrate to SIA just because its a bit cheaper. I personally wont, but I completely overlooked this aspect when I bought SIA. It was an emotional decision but a very costly mistake and I learned a lot from it. Tip 4 : Time of investment. All the coins I invested when crypto market cap was down was a loss. There are few things we can control in terms of market cap, but whenever I invested when market is bullish I have made gains. A project with a competitive edge had been a winner twice in my case. Examples are EOS and 0X are good examples. EOS claims to be technologically advanced than Ethereum and they market it well. Same with 0X, they are solving the problem of difficulty Ethereum encompasses for building more DAPS easily on Ethereum platform. Who are the competitors? Lets be real, its not easy to beat Google, Apple or Amazon. These companies are not one product companies. SIA is a perfect example, they are competing with Amazon and Google for storage space. No one is going to migrate to SIA just for space because Google is not just a storage space company, same with Amazon. Actually all the project I invested had a good team, but the projects I didnt invest because the team wasn't upto mark didn't fair well. I followed this aspect from the start because I am a engineer and I know to evaluate good team by looking at the experience and such. All projects which has launched with less hype but had legitimate business models and usage behind the project experienced a phenomenal growth. I made 850% gain from this project alone. Same with SALT, I found a fantastic business model and necessity for that token and invested in it when it was $1.50 USD a token. It was $8.15 USD when I checked last time. But projects with lot of hype also did good. But percentage gain was lacking in most cases. Being said that accurately forecasting the future of a project with 100% accuracy is nearly impossible because it involves looking not just at the variables itself but the constantly shifting parameters which we cant control. BOON is a decentralized job platform on blockchain. For any blockchain project to be successful, it has to attract the mainstream users from legacy platforms. There is no other short cut to it. Imagine you are a Android user, will you move to a blockchian phone if the new product allows you to keep your number and dont charge for the phone service? 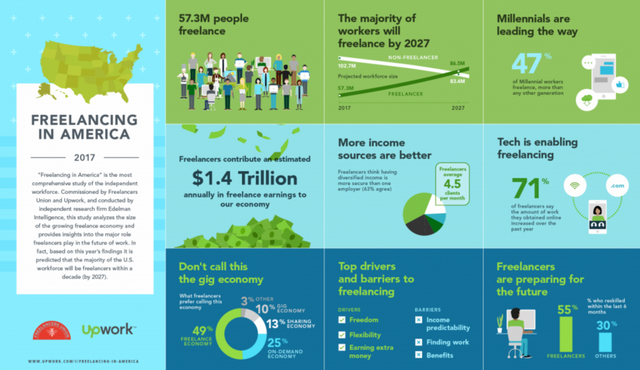 BOON has a remarkable competitive advantage with zero service fee compared to 20% service fee at Upwork and Fiverr. This reduces the friction of any Upwork or Fiverr users to try BOON platform. I talked to some of the investors of BOON and heard that BOON is going to integrate Artificial Intelligence into BOON platform. If this rumor is true I will be buying more BOON tokens. If BOON implement just the match making aspect in AI, that will be ground breaking. I will keep an eye on that development. I always ask for more bonus before investing. Check out Boon.vc and stay tuned to my Steemit blog as I am planning to write more about my investment choices and experiences. #4 causes the worst dissonance. Every basic of trading knowledge tells you to buy when it's down but in crypto you're better off riding the rocket that's already off the ground. You made it. Highly inspiring post. I analyzed all the links you mentioned and finally the BoonTech. This is awsome. I registered here https://boon.vc/registration/?refid=12201711035649 . Are they really going to integrate Artificial Intelligence? If its like that, then no other ICO can beat them.